Horizon Healthcare Staffing has been providing healthcare staffing services in the New York and New Jersey Metropolitan area since 1992. As a leading provider of rehabilitation, nursing, and allied health personnel in the region, we pride ourselves on our commitment to both the facilities and organizations we help staff as well as to the community of healthcare professionals we serve to help find employment. Horizon Healthcare Staffing was named Best Staffing Service on Long Island for 2017 by the Long Island Press! We are honored to receive this recognition, and strive to continue to provide Long Island (and all of New York) with the best services. Along with our sister company Home Care Therapies, our healthcare staffing agency provides both permanent and temporary clinical staffing to a wide variety of healthcare institutions. Our senior management includes a Licensed Physical Therapist, Occupational Therapist and Speech Therapist as well as four onsite Nurse Managers. Our New York healthcare staffing agency is located right in the middle of Long Island in Nassau County. 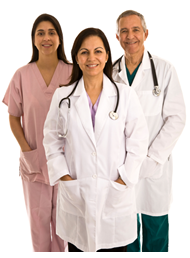 Our healthcare staffing agency located in New Jersey is conveniently located in Manalapan. We are committed to providing our clients with the best customer service possible. We are available 24/7, whether it’s during working hours or via our on call phone. Horizon Healthcare Staffing can fill any job opening presented to us. There isn’t a position we can’t fill with the best possible candidate. We have a rigorous hiring process, only providing our clients with the best that New York and New Jersey has to offer within the healthcare field. Our corporate office is located in Hicksville, NY and is easily accessible by train (LIRR), bus, and car. We have a NYC branch office in Jamaica, Queens as well as a New Jersey location in Manalapan.